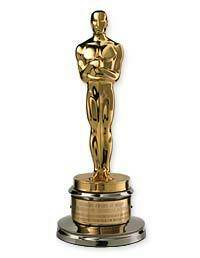 Affordable Coverage, Edit & Critique Service: Screen Writer's Contest: $5000 Prize! Check out what I got in my in box this morning. If you have created a video short, film script, web series with content that promotes diversity, consider the below contest. Diverse Voices is now in its 4th season and it's growing faster than ever. Every season, more and more industry executives, agents, and managers reach out to read the winning scripts. Right now, last season's winners are taking meetings and being read. The Fall 2017 season is now open and we're looking for our next set of Diverse Voices entrants. Diverse Voices' mission is to provide a contest that is purely focused on promoting and encouraging diverse voices and stories. 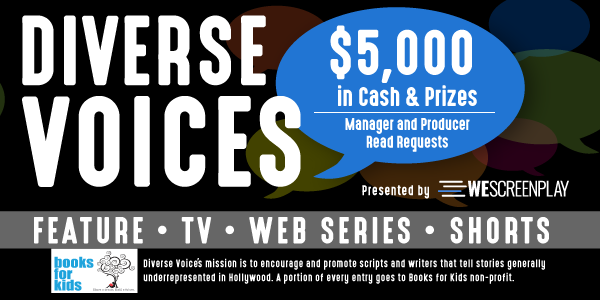 The Diverse Voices competition supports the Books for Kids Foundation, raising over $6,000 in the first 3 seasons. 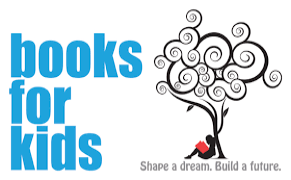 The mission of the Books for Kids Foundation is to promote literacy among all children with a special emphasis on low-income and at-risk preschool-aged children. Diverse Voices already has great success stories. 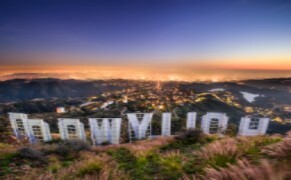 Multiple WeScreenplay writers have gone on to sign with great Hollywood Management companies including Heroes and Villains and BelieveLand. Past Diverse Voices winners have been optioned and signed. To support this blog, please click the ads . The money earned from the ad clicks support this blog. Thank you and happy writing!